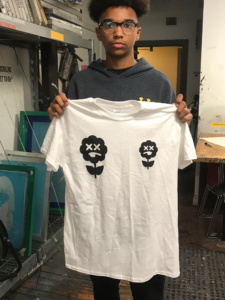 Chill vibes this week at the printshop. As the weather gets colder the images are becoming more graphic. 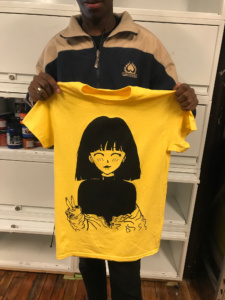 It’s great how you can transform original artwork into unique clothing. 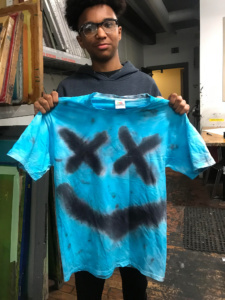 All the visual classes are interconnected Here at youth a design developed in screenprinting transforms in fashion design via experimental dye techniques. Toxic Ways is an up and coming branded supported here at AS220 youth.